What are the Dos and Don’ts of Baccarat? In the majority of casinos, baccarat is present in a variation known as Punto Banco (or Player Banker). A fixture in the high-stakes areas of casinos throughout the country, baccarat gives players the chance to guess which of two hands, the ‘player’ hand or the ‘banker’ hand, will be closest to nine when the game comes to a conclusion. 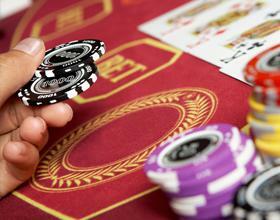 In the majority of casinos, baccarat is present in a variation known as Punto Banco, or Player Banker. In this variation, player skill is largely omitted in favor of a simple guessing game format with a mild house advantage. 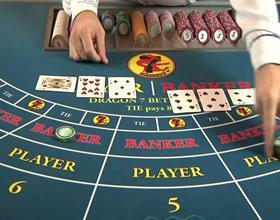 Let’s take a look at a few important things to keep in mind when playing baccarat. Do: Know the rules before placing a bet. Unlike games with more universally accepted rules, baccarat is played in a multitude of variations designed to give the house an extra edge. Before you head to the casino, it’s a good idea to study the different types of baccarat games on offer, as well as researching your chances of winning with each variation. Finding the option with the best overall odds is a great first step to a successful night at the tables. Don’t: Avoid betting on a tie. With baccarat’s nearly even odds, casinos are forced to get creative when carving out an advantage. In most cases, tie bets are among the absolute worst bets on the casino floor. Since the chances of the player and the banker receiving the same score are relatively slim, it is always a good idea to restrict your bets to either the player or the banker. Do: Understand common betting strategies. Since Punto Banco is a luck-driven game, strategies typically serve as nothing more than an organized system to maintain your betting. Well-regarded strategies include the daring Martingale method, where bets are doubled following every loss, and the organized Labouchere method, which depends on a player’s predetermined winnings goals. With any system, you’ll need a bit of luck to keep winning, but a good strategy could help you effectively capitalize on a hot streak. Don’t: Never put all of your money on one bet. Placing smaller bets allows you to ride your lucky streaks for longer, as well as protecting you from the occasional loss. The fact is that as long as you have money to bet, you still have a chance to win. Sticking close to the casino’s table minimum will allow you to enjoy your experience and lengthen your time at the tables. After all, there’s no reason to rush at the baccarat tables. Do: Focus on having a great time once at the tables. Unlike blackjack and poker, players have no effect on the outcome of individual hands. While some players are very accustomed to casino rules, the truth is that, beyond studying the odds, the knowledge is ultimately meaningless to the game. In essence, hitting and standing hold very little meaning to the player, as the game rules dictate the outcome. Baccarat provides players with a great opportunity to give their minds a bit of a break without losing the chance at some major winnings. Don’t: Remember to avoid mispronouncing the name of the game. Remember, the game is derived from a French origin and is pronounced with a silent ‘T’. Pronouncing baccarat correctly will help you avoid a few giggles at the tables. Remember to bet responsibly and have fun, and baccarat can be one of the most profitable games in the entire casino!